This past weekend my sister graduated from Dickinson College in Carlisle, PA.On Saturday night my family and I went to the Boiling Springs Tavern for Dinner. Located about 10 minutes away from Carlisle Boiling Springs gets its name from the natural artesian wells that are located near the town. The largest of these springs is located right behind the Boiling Springs Tavern and is nicknamed the bubble. The food at the Boiling Springs Tavern is very good and the service is even better. They focus on serving local fare and along with their daily menu rotate in daily specials. To start we ordered the seared tuna, smoked trout and salmon, baked oysters, and buffalo calamari. For being in the middle of Pennsylvania I was very impressed with how good the seared tuna turned out. The sliced it very thin and served it almost like sashimi with a pickled coleslaw. The smoked salmon and trout paired well with each other and were served with bread and various spreads and toppings. The baked oysters were topped with a small slice of smoked salmon and a dill cream. The baked oysters change daily but if the are as good as the ones we were served I would recommend ordering them. After the appetizers we were served our soups or salads. The seafood bisque is absolutely delicious and I recommend ordering it. It is on the lighter side and will not fill you up like a chowder tends to do, which will allow you to enjoy your entrees. I ordered the Stuffed Rainbow Trout special. 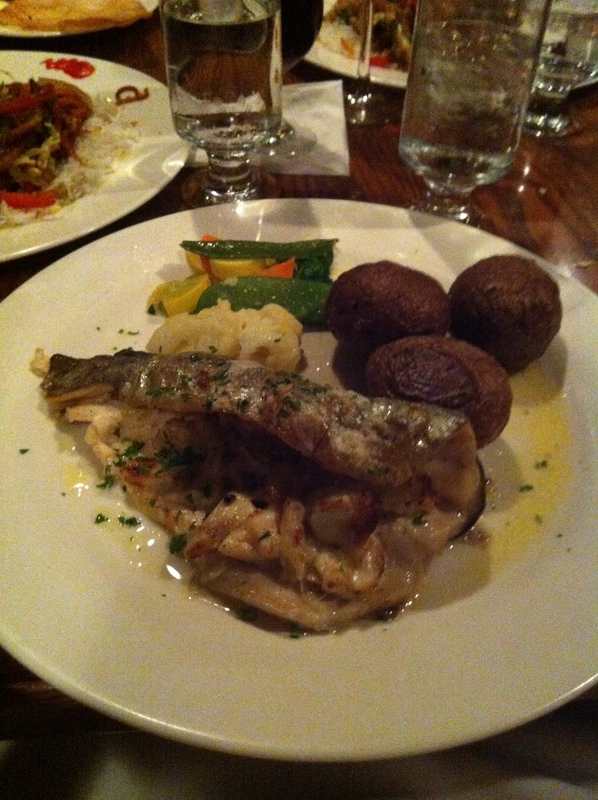 It was a pan cooked rainbow trout stuffed with crab imperial. Everything was cooked to perfection and it tasted great. If I ever saw this on the menu again I would order it in a heart beat. 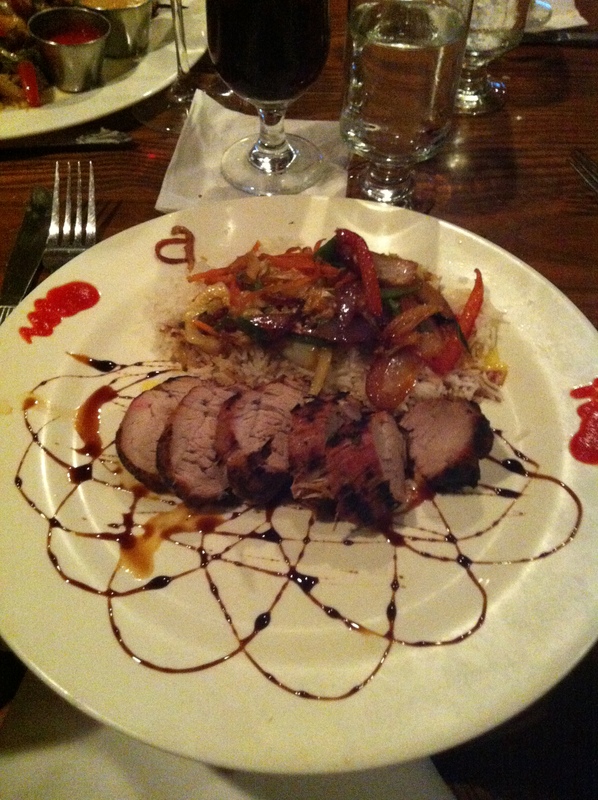 My sister ordered an Asian inspired pork tenderloin. I did not get a chance to taste it but the presentation was impressive. If you every find yourself in the Carlisle area I recommend stopping by the Boiling Springs Tavern for lunch or Dinner. This entry was posted in Food, restaurants and tagged 2013, Boiling Springs, Class of 2013, dinner, food, Graduation, Greg Smart, Pork, restaurants, Smartchef, Smartchefblog, trout, tuna by gregorysmart3. Bookmark the permalink.